Around two years ago, I made the decision to stop coloring my hair. No toner, no highlights—I quit cold turkey. Since growing out my sun kissed highlights, I’ve noticed a majorly positive change in the health and resilience of my hair. Strands that were once fried and broken were now silky and had shine that no product could replicate. And with my hair returning to its natural state, I have made it a point to keep it that way by choosing the most natural, safe products out there. The thing about making the switch to natural products, though, is that the industry still has a ways to go when it comes to replicating that silicone-shine and squeaky-clean lather of its conventional counterparts. 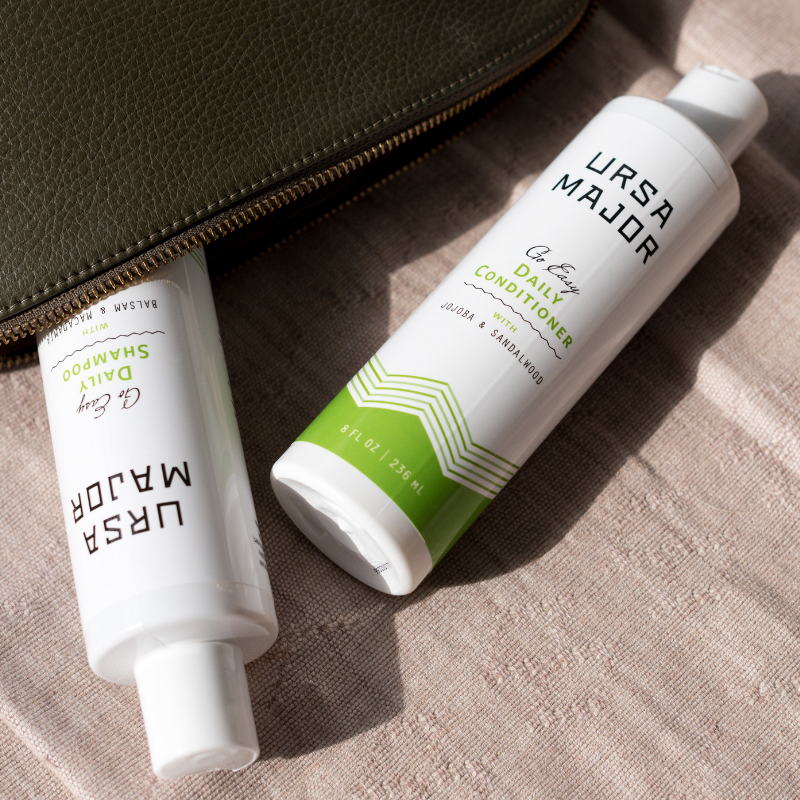 When Ursa Major reached out to me to try their new Daily Shampoo and Conditioner duo, I was intrigued. I’ve been a big fan of the brand for a while now—their facial wipes are a must for traveling and stashing in my beach bag and they make one of the most effective natural deodorant in the game. I wasn’t fully committed to a natural haircare line, so I was game to try something new. But man, this stuff is good. I didn’t even realize it was that good until I let my hair air dry as usual (super low maintenance over here). My hair had body and wave that I’ve only been able to achieve with time and effort. The best part? My hair was super manageable and wasn’t weighed down by styling products used to keep the hold. Even others commented on how bouncy my hair looked, without me even mentioning that I changed a thing! Color me impressed with this clean haircare duo. It has a light, woodsy scent that doesn’t sway too feminine or linger (read: you can share it with your SO) and is free of sulfates, parabens, synthetic fragrance, or petrochemicals and it’s both vegan and cruelty-free. It is filled with good-for-your-locks hero ingredients like coconut and macadamia (shine! ), bergamot (conditioning! ), and licorice (prevents a flaky scalp!). The duo retails for $26-$28 USD + free shipping. You can shop it here.